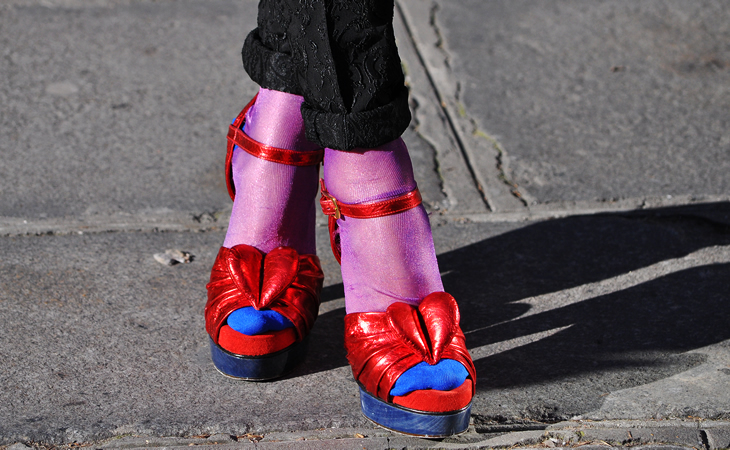 A trend I spied on the streets of Paris was combining bright tights or shoes with black and vice versa. The shoes were almost always open-toe allowing the tights to show through. We’ve been seeing knit socks worn with open toe shoes for a few seasons now and many designers showed this trend again on the Fall runways (Prada and Vanessa Bruno to name a few). 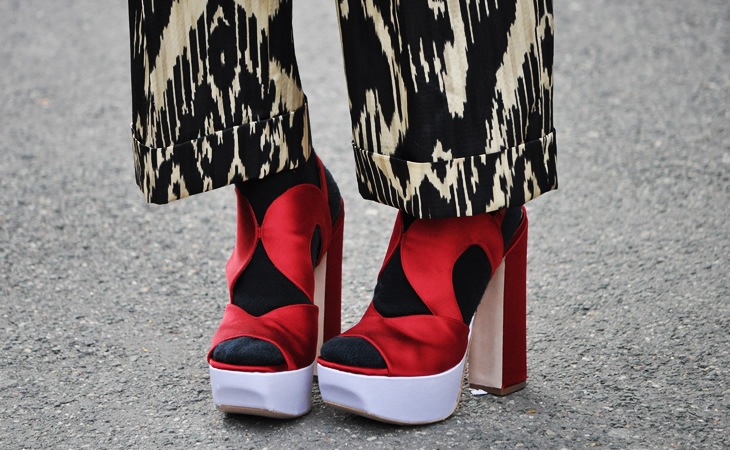 Take a look at these snapshots and how the colors were paired with black and platform open toe heels. My personal favorites are the red, black, creme and fuchsia combinations. I think people have a hard time pairing the red with black because it can easily bring tasteless fashion choices to mind. I kinda think that is why I am so drawn to it, because it is supposed to be passe’. 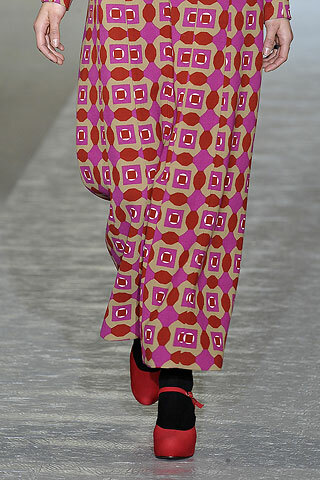 But somehow red and black is given another chance with these style pairings.